Yay! It finally arrived at 11:19 last night! The email letting me know for definite the big changes that would affect my shift pattern and when they will take affect from. A date for the next Spoolette’s meet up can now be set! I didn’t want to do it before knowing as I’d be gutted if I arranged it and then couldn’t even go myself! We’ll be meeting at the same cafe as last year but in the afternoon instead of going to Weatherspoons I’m thinking we might go to the pub at the train station instead. I’m going got make a trip to Dewsbury in the next week or so to let Fabworks and Lucky Fashions know to expect a stampede of fabric starved ladies, and to check out meeting places. If you’ve not been before it’s a time to spend a fews hours laughing, admiring and stroking (clothes of fellow Spoolettes) and generally having a fab day with people who you’ll feel you’ve known for years by the end of the day! I’ve had a couple of new ideas…. It can be paper, fabric, plastic, anything! From my own experience you will have that moment when you know someone’s face from IG or their blog but you can’t remember their name! If you wear a badge we’ll all know who you are! Now with all the best intentions I would love to spend time sourcing all sorts of loveliness to make each of you a goodie bag, but I really don’t have time. So what about we all make just one, put your own name on it so whoever gets its knows who has put it together. You don’t have to spend money, hand made gifts are just the best, or add a notion or 2 from your stash. If you don’t wish to take part in this, that’s fine, but you won’t be able to receive a goodie bag if you don’t bring one (hope that doesn’t sound too harsh!!). What do you think…. a good idea or not….I’ll go with the general census of opinion, other suggestions are welcome too! I’ll be writing another post in a couple of weeks where you’ll be able to add your name if you’re coming and I’ll give you all the details of the day! Now hasn’t that just made your Friday! Now Christmas it’s over unless you’ve got a holiday booked soon there’s not a lot to look forward to, well there is now!! See you on the 25th Feb!! If you want to read more about past meet ups and what Dewsbury has to offer their a section on my main front page with all the links to the Spoolette posts. Here’s just a few pics from past meet ups! Doh! I am away that weekend,I am gutted. Have a fabulous time. Can’t see my sons godparents changing France for Dewsbury for their anniversary! Mmmm, think you’ve got a point there! Gutted not to be over there with you all, but know you will have a fab(ic) time! Your goodie bag idea sounds just right & hope everyone will be very pleased. Somebody buy a metre for us across the pond who’ll be there in spirit! I’m in! Minus the fabric acquisition, of course, sigh, but I can definitely look and chat and buy all the haberdashery. Guesses on a postcard who is going to be destashing haberdashery next year, haha! Great idea on the bags and badges. Are we doing a fabric/pattern swap too or did I miss that bit? This sounds great! Just so that I can plan, what are the timings for the day – meet up and depart? I’ll be away too, but in all honesty, I could not for shame buy another piece of fabric until I have got something sewn! (Pup has settled nicely in recent weeks, so I hope to get back in the sewing room soon). Obviously I’d otherwise have been delighted to assist with fabric stroking, ogling, enabling and drinking …. Great idea, unfortunately it’s half term, and I’m away. I’m sure you’ll have a great time. Would you be willing to accept overseas visitors as well? I was just thinking, as the 25th is the beginning of our mid term break I might as well use the chance to get over to pre-Brexit UK before they make us take out visas and all that. It would be such fun to meet you all! I will fly into Manchester on the Friday, so I would greatly appreciate recommendations for places to stay on the Friday and Saturday. I will have use of a hire car, so locations off the beaten track are no problem. Oooo, all excited now! 2017 suddenly got a whole lot more exciting! Ace!! Are you all coming, or just you? I’ll have a think, I’ll drop you an email with my phone number. How I wish there was something like this near me! They’ll all be as scared as you!! 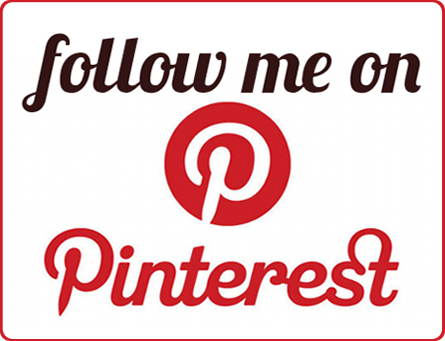 It’s like internet dating for sewing friends!! You’ll find everyone’s will have loads in common and it’s like finding long lost friends. I’ll have to think about it, I’d do a yarn store one though! 😂 if nothing else I’d get a trip to a nice shop. I’m in! 🙂 Is travelling by train do-able? I live near Newcastle upon Tyne, and could come down by train for the day. A goodie bag sounds a great idea. Looking forward to it. Great!! 😃 Train is easy, the stn is close to everywhere – you can see Fabworks from the stn! Anne came from near Newcastle last year, I think you’ll have to change in Leeds. It’s only about 10 minutes from Leeds I think. Yep. I live in Newcastle upon Tyne . Perfectly doable. We could travel together if you wanted. Sorry, it’s taken me a while to get back to you. I’ve booked the same trains as you have. I’ll be picking tickets up at station just before departure. It comes with seat bookings but presumably if train is not too busy we can change. Hi there, I should get to Central by 7.35 in the morning, so hopefully I’ll see you there. I’m in coach A, so I’ll be at that end of the platform. My mobile number is 07711954882, in case you need it. Looking forward to meeting up. See you there! SO glad I can make this one 🙂 and love the goodie bag idea too. Will get thinking of crafty things. Wild horses couldn’t keep me away! Count me in. I love the badge idea. Goody bag is a bit scary for me. Like Anne says – a bit of guidance would be appreciated. Please lets do a pattern swap because they don’t take up as much space as fabric does :-). If you need me to help out with anything I am game just text me. Thanks for arranging this – you are ace! Can I still come if I have not made anything for over a year? What is the statute of limitations on still being able to call yourself a spoolette? Maybe the thought of a meet up with sewing peeps will be just the incentive I need to crack on with something! Another wowee! Course you can come!! 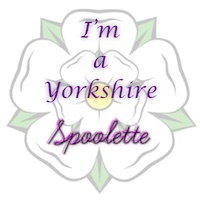 You’re one of the founder members of the Yorkshire Spoolettes!! 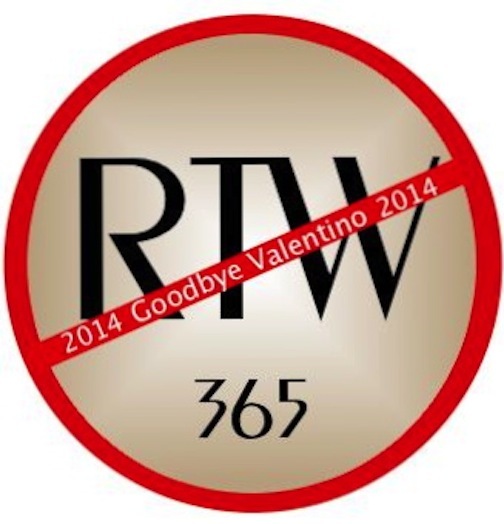 Dust off that machine – making something for the goodie bag might be just what you need to get you seeing again!! Yep. Still have the same number! I must make another Anna, as I currently don’t fit into any of the ones I have. it is a dead quick make (or at least it is if you don’t need too many adjustments).